Artists! Artists registration will open on May 1! Check back for further updates. For the most up-to-date info please sign up for our email newsletter. Click here to download 2019 Cover Contest Rules! Do you represent a local or national business and want to support the Arts in Tulare County and get your logo in front of an expected 7,000 people? 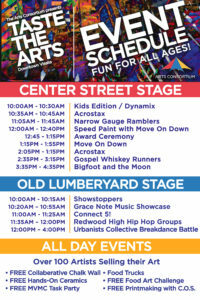 Taste the Arts is an annual festival presented by the Arts Consortium— the official arts council of Tulare County. 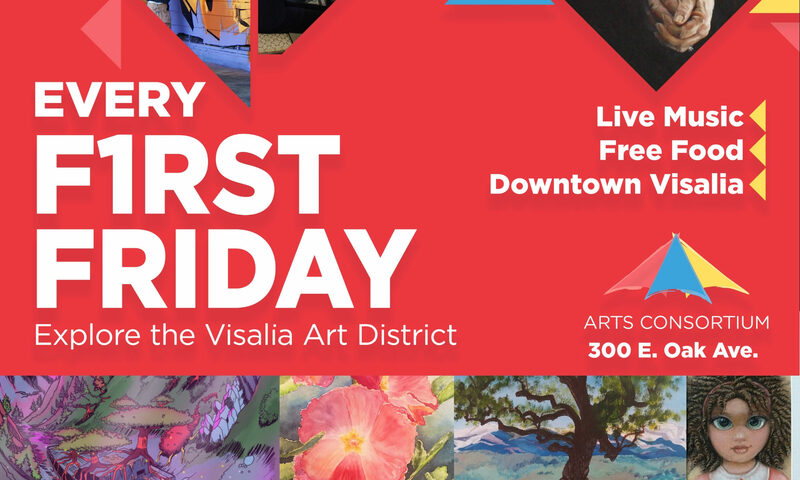 This annual event in downtown Visalia is a celebration of the rich cultural and artistic heritage of our community. The Central Valley is known for the diverse crops grown in our area. This diversity also attracts a broad spectrum of cultures to our region, each with its own distinctive arts and traditions. Taste the Arts celebrates this multi-cultural background with an event just as unique! Taste the Arts offers a full-day of free activities for the community. Check out more than 70 regional visual artists and their paintings, sculptures, steel work, photographs, gourds, and jewelry. Enjoy entertainment on two packed stages featuring musical acts, dance troupes, and cultural performers. Participate in aerosol art and printmaking workshops, or showcase your creativity in the Farmers Market “Fun with Food” sculpture contest. Take advantage of numerous youth activities and much, much more. ALL FOR FREE! Don’t forget to pick up your copy of the Watermark magazine. To learn all about the Arts in Tulare County. Grab your friends & family and tell them that Visalia is the place to be on October 19th! We’ll see you there.